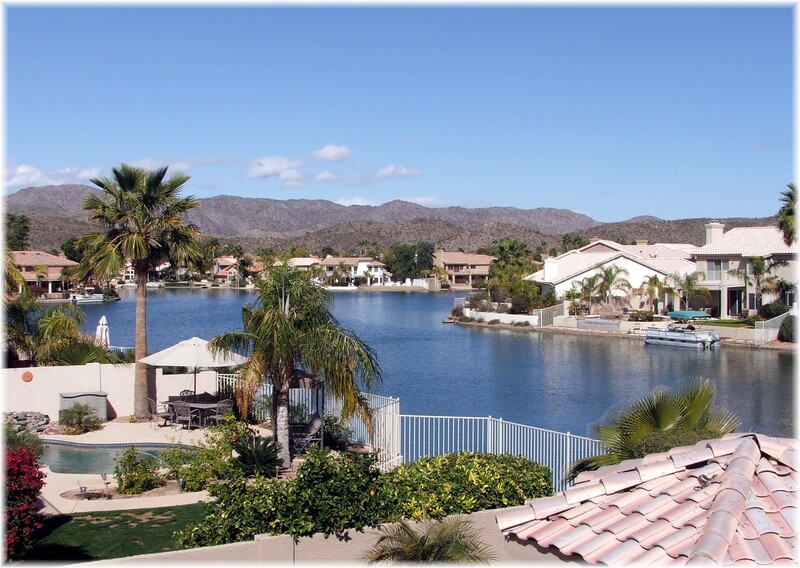 The Lakewood waterfront community is at the entrance to the Ahwatukee Foothills of Phoenix. Ahwatukee has been considered by some as the world’s largest cul-de-sac. You can enter via Ray, Chandler Blvd., or Pecos and those are also the streets by which you will exit. 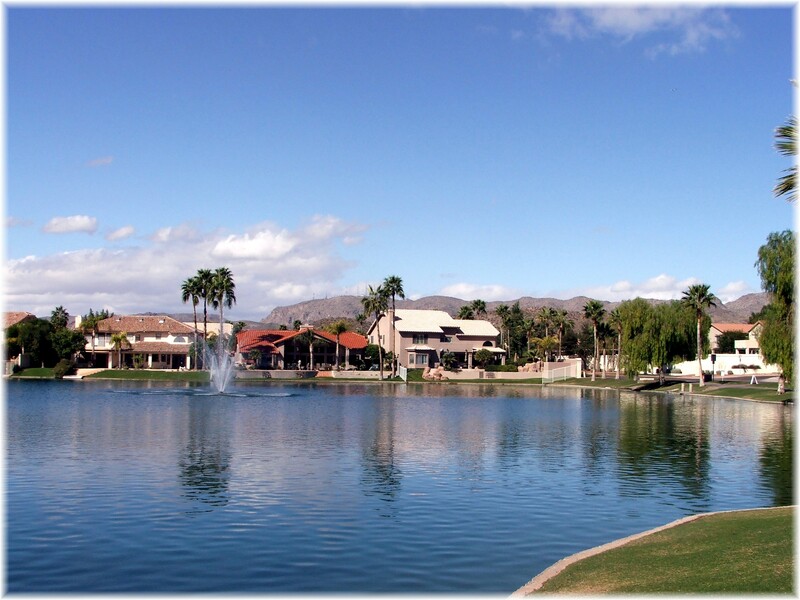 This highly desireable area and community is only 2 miles from the I-10 and loop 202 freeway. Another advantage is Kyrene de los Lagos Elementary is located within this 1 square mile development. The waterfront home builders include Continental, Richmond American, Mailing Allison, Pulte and Camelot Homes in such subdivisions as Harbor Island, Hamilton Homes at Lakewood, Richmond Shores, and Estates at Montego Bay. Homes throughout Lakewood range in size from 1,400 sq.ft. to over 4,400 sq.ft. The 22 acre Vista Canyon Park is less than 1/2 mile away which provides basketball and volleyball courts and baseball fields. Chandler Blvd. has a variety of retail and shopping options on either side of the I-10 freeway. Popular Ahwatukee restaurants include Arrivederci Trattoria, Hillside Spot, The Melting Pot, Nello’s and Ra Sushi Bar Restaurant. What you may like about Lakewood: Kyrene School District has highly rated schools. Lakewood’s proximity to the freeway and amenities is excellent and the Ahwatukee Foothills area is very scenic and desirable. What you may not like about Lakewood: The homes were built mainly between 1986 and 1996, so the architecture of the home is older than in newer areas. If you would like to receive listings of Lakewood homes automatically, click on Lakewood homes for sale. Looks and sounds like a great area.